And it’s not unique to Sydney and Melbourne.As part of my daily research, I’m often surprised to see low vacancy rates in parts of regional Australia where economies have been much softer than Sydney and Melbourne post-GFC. There’sanother force at play– it is the likes of Airbnb and Stayz. Other popular tourism destinations also to experience a significant rental tightening include Mooloolaba on the SunshineSunshine, NSW Sunshine, VIC Coast (2.1 to 1.1 per cent), Hervey Bay (3.2 to 2.8 per cent), Cairns (2.3 per cent to 1.8 per cent), Orange in New South Wales (2.7 to 1.7 per cent), and TorquayTorquay, QLD Torquay, VIC in Victoria (2.5 to 1.3 per cent). According to Airbnb, nearly five million Australians now use the service, which can range from an overnight stay in an apartment's spare bedroom or a few weeks in an entire empty house. 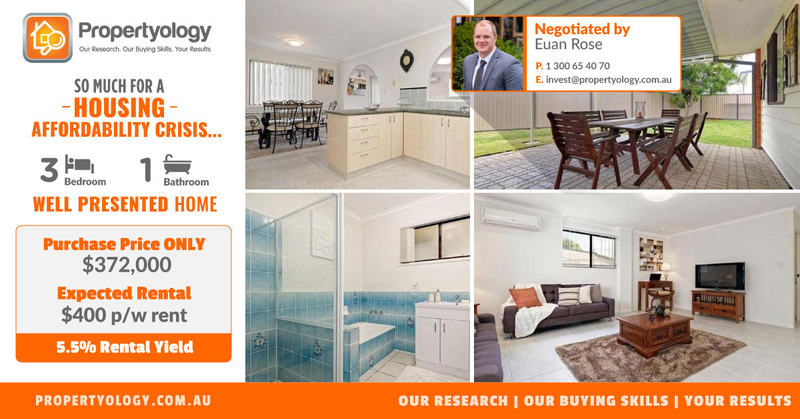 Propertyology is a national property market researcher and buyer’s agency. The multi-award-winning firm’s success includes 2018 REIQ Buyer’s Agency of the Year and being a finalist in the 2017 Telstra Business Awards. Managing Director Simon Pressley is a REIA Hall Of Fame Inductee and a three-time winner of the REIA and REIQ Buyers Agent of the Year award.